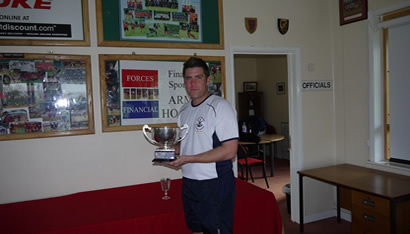 11SR beat the HMS Sultan and RAF Brize Norton in the Tri Service Cup! 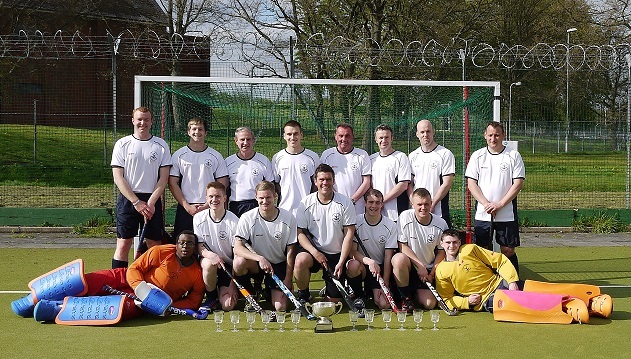 Results were: 4 – 1 v HMS Sultan and 4 – 3 v RAF Brize Norton. The final was an awesome game. Wimbish had a strong start netting 3 goals and looking like they were going to dominate. However, 11 Sigs turned the game around, doing lots of pass work and with Brian Mower on the bench ready to sub on they had the man power! They brought the score up with some fantastic goals so by half time they were equal. As the second half went on, 11 Sigs dominated the goal end and relentlessly had shots to goal but with there were some awesome saves by Sgt Griffin, Wimbish GK. One of Wimbish also did a flick which hit the goal post! There were lost shots and goals on both sides with a result of 5-5! I was sure it would go to penalty flicks. However, in the last part of the game with a yellow card to Wimbish, the Sigs had the opportunity and made the final result of 6-5. Well done 11 Sigs and well done to Wimbish, really great game to watch for a final and end to the tournament. 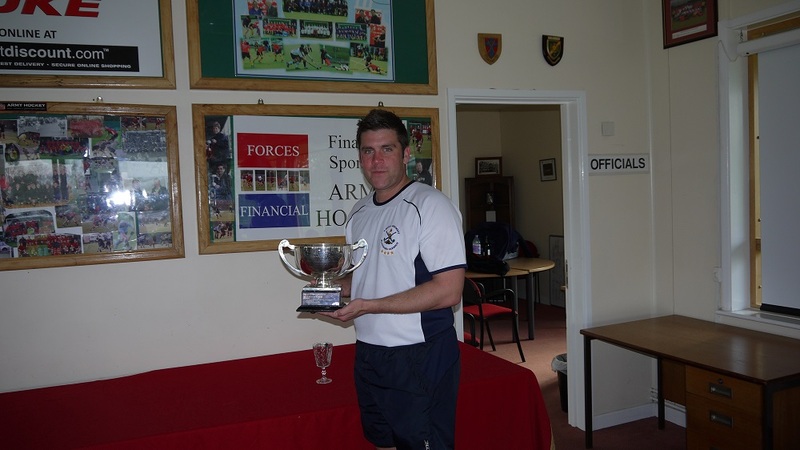 As winners of the Army Cup, 11 Sigs will be playing in the Tri Service Cup on 19 June 14, location TBC. Due to bye’s 5 Med got through straight to the final to play 4 Med. A great game, full of banter, friendly atmosphere and it was still competitive with both teams closely matched. However, 5 Med managed to hold on and finished the game with a final result of 3-1. Well done guys, fun game to watch. Thanks very much to all who took part. The Army Cup will get better as operational commitments reduce and it’s great to see new players come through and get to experience hockey. 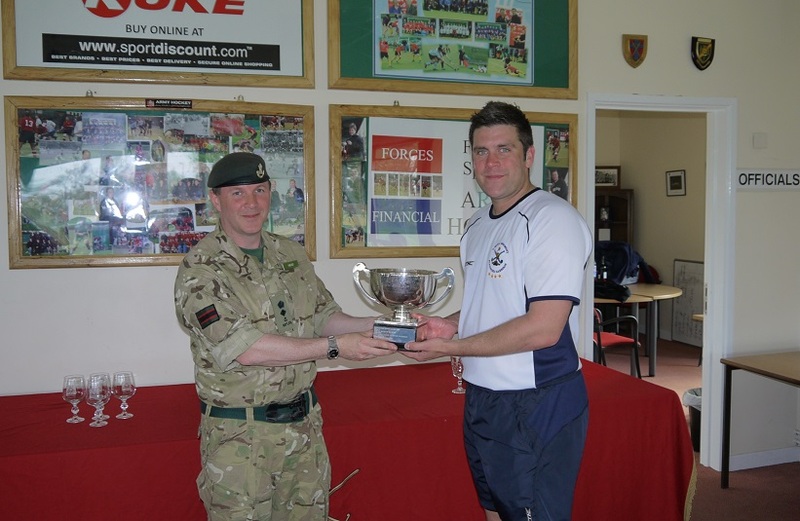 The Army Cup Trophy is one of the oldest Hockey trophies in the world and it’s great that we can continue its legacy. A Small gallery of Army Cup photos can be found on our Facebook page, Army Hockey UK.